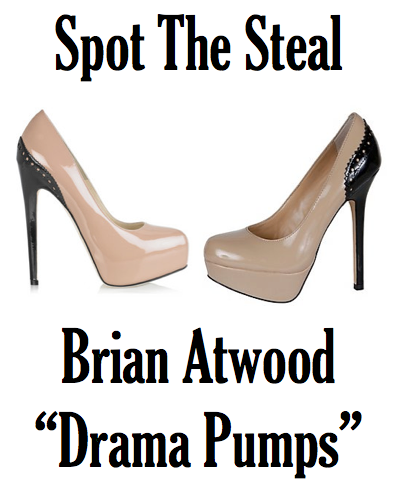 Reader Emma, asked if I could find a way more reasonable version of these fabulous Brian Atwood Drama Pumps, that have been spotted many times on Victoria Beckham before selling out completely. Originally these babies were a whopping $660, luckily the Bevv-B by Steve Madden is practically identical for just under $100. That is Nuts !!! I was actually looking at buying the Steve Maddens lol. Great shoe and Truly almost Identical. I Love this !!! Have you seen the Staciee ? I want that one in Magenta. Tough decision. YES - SCORE! This is exactly why I follow this blog!! !